Today, when ecommerce has become the norm, every business is struggling to increase its online sales and conversions. It can be quite a challenge to design and implement a marketing strategy. Growing a successful ecommerce brand will not only require you to formulate a marketing plan but also to make it work to get the maximum results. Like conventional marketing, no single best strategy in ecommerce marketing will work for each brand. Whether or not, an ecommerce marketing strategy will work for you or not depends on your niche or industry, your products or services, and your target customers. Your ecommerce marketing strategy should drive traffic to your online store, help you convert that traffic into sales and ideally retain those customers after purchase. A good ecommerce marketing strategy will be a combination of both online and offline tools and techniques. It should help you in building a loyal customer base, awareness of your brand and of course, increase your sales. Below in this article, we have put down some special consideration you have to make while marketing your ecommerce brand. Get a unique and simple logo designed for your brand. There are many professional logo design websites that you can consult for this purpose. Segment or display your products properly. Divide them into suitable categories making it easier for the customers to navigate and find a product of their liking. The products can be divided in many ways depending upon their nature. For example, this online leather jacket store has divided products as per male and female categories as well as based on their type. Figure out the right balance between text and visuals, i.e., make sure your theme is well implemented and goes with your brand image. ​While formulating and implementing marketing plans, one of the most common mistakes that businesses tend to make is not doing enough to retain their current and old customers. In many cases, implementing marketing techniques to hold old customers can be more successful and profit generating than making efforts trying to get new customers. Considering marketing techniques such as upselling can be an effective tool in this regard. When upselling products to customers, always ensure that the upsell is related to the original product that your customer is interested in. The upsell should also be relevant to the customer’s original needs. Another effective marketing technique to retain old and current customers is cross-selling. Cross-selling involves businesses recommending existing customers to add additional accessories related to a product that the customer already wants to buy. These marketing techniques when implemented consistently can bring significant changes in the overall revenues. ​In addition to adding details and going for innovative marketing plans, make sure not to forget some of the classical techniques such as email marketing. Social media can sometimes become too noisy and disturbing making the customers to possibly miss your updates and sales. People are more sensitive to messages sent to them personally. You can start off with email marketing by promoting your newsletter and blog. This will help you collect several email addresses of your potential customers. Once you have acquired an email address, the next step should be put up an email marketing plan in place. This may include offering exclusive gift cards and discounts for email subscribers, sending personal notes or asking for feedback. You can also launch abandoned cart emails and wishlist emails which will remind the customers to make their final step for purchasing. In short, the focus of your marketing strategies should depend on the stage of your business. If you are a young business, your focus should be more on better website development and the acquisition of new customers. On the other hand, if you are an old business, your focus will be more on customer retention. 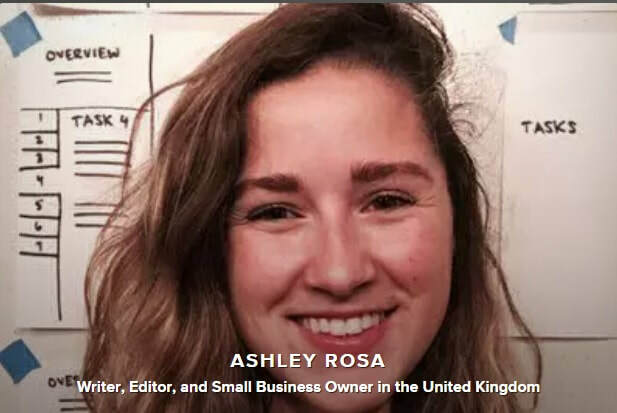 ​Ashley Rosa is a freelance writer and blogger. As writing is her passion that why she loves to write articles related to the latest trends in technology and sometimes on health-tech as well. She is crazy about chocolates. You can find her at twitter: @ashrosa2.